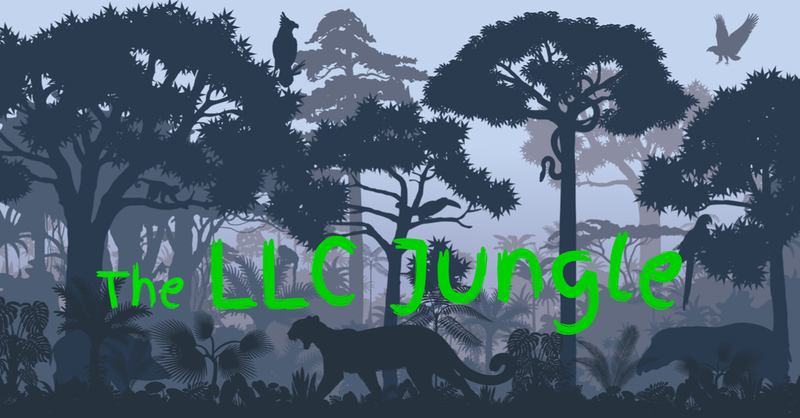 The LLC Jungle blog is kicking off with a look back at the top LLC-related posts from its companion blog, Money and Dirt. Choosing the Wrong Business Partners — For better or worse, business is like marriage. Vet your partners carefully before forming the LLC. Never overlook ethical red flags at the outset. Those red flags tend to manifest later in the form of broken agreements, breached fiduciary duties, and costly litigation. Skimping on the Formation and Operating Documents — Prevention really is the best medicine. Many disputes can be avoided by taking the time on the front-end to customize your Operating Agreement to make it understandable. Evaluate the specific facts of your LLC and envision what types of problems might arise. Pay close attention to the provisions that tend to be the focal point of disputes — managerial authority and member voting rights. Ignoring Member Rights and Duties — Some LLC member rights are so fundamental that they cannot be eliminated in the Operating Agreement (the rights to access books and records, sue for dissolution, and sue derivatively on behalf of the LLC). Other rights can be customized (or, depending on your perspective, watered down) in the Operating Agreement, including distributions, voting, and dissociation. Stepping into “Alter Ego” Liability — California law normally respects the “separateness” of business entities and their owners. Alter ego liability allows a creditor to “pierce the veil” of the LLC and hold the owners liable for the LLC’s debts. Undercapitalizing the LLC or commingling LLC and personal assets will put you into the danger zone. Misunderstanding Secured Loan and Guaranty Rights/Liability — Any guarantor who believes they are only a “backstop” to be tapped if and when the primary debtor fails to pay is sadly mistaken. California provides robust protections for primary debtors on loans secured by real estate, which generally limit the creditor’s remedy to foreclosing on the security property. Guarantors? Not so much. Secured lenders are also known to sometimes engage in shenanigans through appointed deed of trust (or “rents and profits”) receivers. Failing to Protect Trade Secrets — Trade secrets are not limited to technology companies; they are an “every business” type of intellectual property. Confidential company and client information that is directly tied to revenue generation should be closely safeguarded. Sinking Profits on Messy “Business Divorce” — Bad LLC marriages often end in messy divorce, also known as judicial dissolution. Contested LLC dissolutions can enrich a whole cast of characters — attorneys, forensic accountants, business valuation experts, provisional directors, receivers, fiduciary duty experts — all at the expense of the LLC. Before suing for dissolution, beware the statutory “buyout” remedy. LLC managers must conduct themselves accordingly. Sadly, many don’t. Just How Much Power Does Your LLC’s Manager Have? Finally, this post — Just How Much Power Does Your LLC’s Manager Have? — addresses a California appellate decision that highlights the immense power LLC managers wield. In Western Surety Co. v. La Cumbre Office Partners LLC, the court held that an LLC manager’s signature on an indemnity agreement bound the LLC — even though the signature block was technically flawed and the transaction was unauthorized under the terms of the LLC’s Operating Agreement and not in the LLC’s best interest. The decision also illustrates California’s “safe harbor” statute, which allows third parties to rely on the apparent authority of an LLC manager to bind the LLC, unless the third party has “actual knowledge” that such authority is absent. How much do you trust your LLC’s manager?